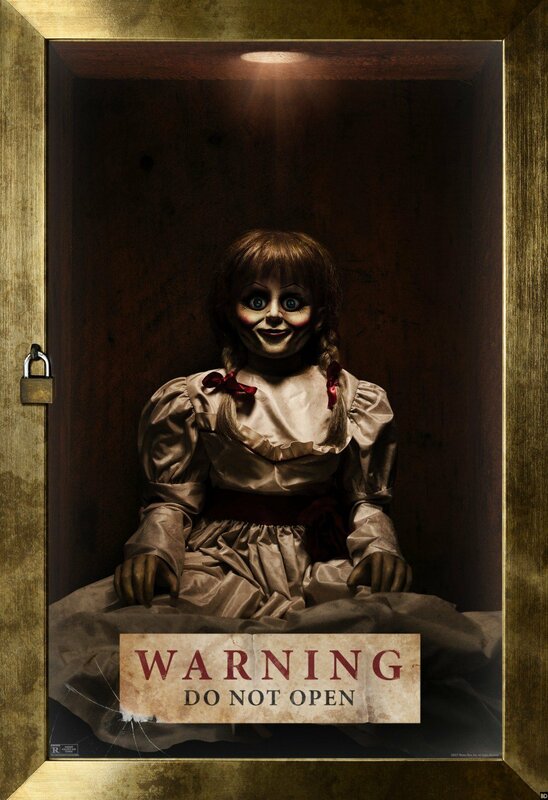 Annabelle may find itself behind blessed glass in today’s poster reveal for Annabelle: Creation, but don’t be fooled into thinking that the titular, downright creepy doll has been locked away in perpetuity. 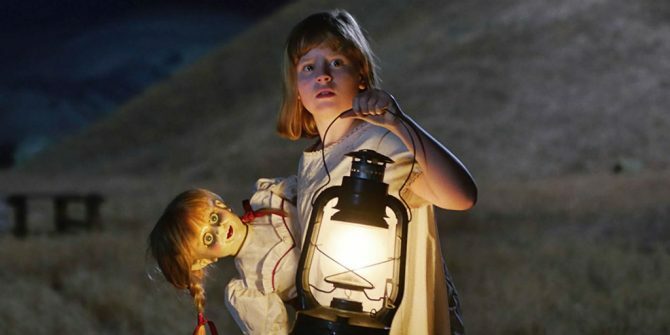 With little under a month to go until the launch of David F. Sandberg’s horror prequel, New Line and Warner Bros. are beginning to stoke the embers of excitement, particularly in the aftermath of the LA Film Festival, where critics lauded Annabelle: Creation as an unnerving, yet welcome addition to the overarching Conjuring universe. And it’s that film universe that looks set to expand quite dramatically over the next two-to-three years. Not only has New Line confirmed plans for The Conjuring 3 – for the record, the jury’s still out on whether James Wan will return at the helm – but there have also been new developments on the spinoff front thanks to The Nun and The Crooked Man. Behind the scenes, Annabelle: Creation has a script by Gary Dauberman, who worked on the original sleeper hit, and features a cast comprised of Stephanie Sigman, Talitha Bateman, Lulu Wilson (Ouija 2), Philippa Anne Coulthard, Grace Fulton, Lou Lou Safran, Samara Lee, Tayler Buck, Anthony LaPaglia and Miranda Otto. On August 11th, Warner Bros. and New Line will cast light on the true story behind Annabelle. And we can hardly wait.